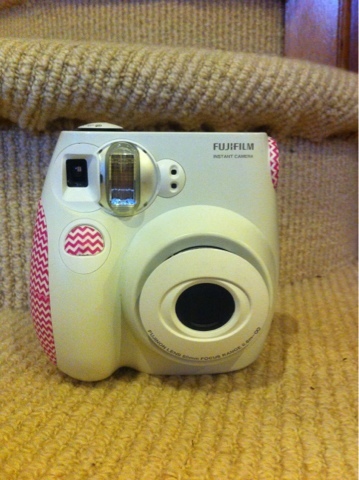 I have been wanting to customise my Instax mini 7 for a while now, so I looked online for accessories but then it hit me! 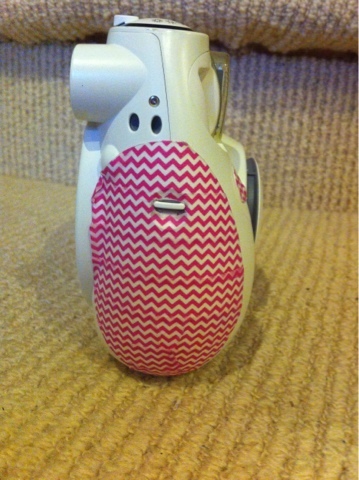 I had bought some Washi Tape recently on my holiday to the US! Perfect for adding some fun to any item ! 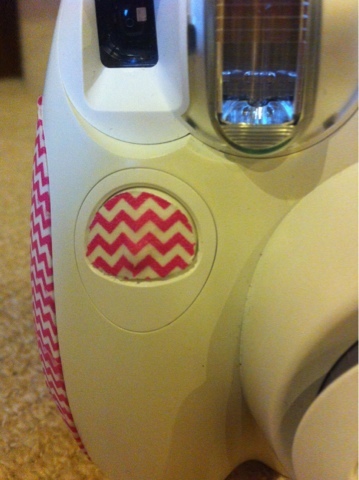 I chose a hot pink chevron and covered the cover for the battery area, the button, and the little knob at the other side.